The Huawei GR5 Mini just as its name implies is a compact and yet affordable version of the Huawei GR5. The Huawei GR5 Mini still retains same premium build, and some high-end specs present on the Huawei GR5, but at a low price. So what makes the GR5 Mini a cheap handset? Let us quickly take a look at some of the Huawei GR5 Mini specs and features. The Huawei GR5 Mini smartphone is available in gold colour option and comes with a full metal body with a fingerprint scanner placed just below its rear camera. It also features a compact 5.2-inch Full HD display that is little smaller than its brother. The small screen size on the GR 5 Mini makes the smartphone fit well in the hand than another big-screen device around. It has a screen resolution that measures just 1,920 x 1,080 pixels. The display features a smart light sensor that helps to adjust screen brightness depending on your environment/surroundings. The Huawei GR5 Mini sports same camera configuration as the Huawei GR5, it features a 13-megapixels rear snapper (with f/2.0 aperture, AF LED flash) alongside a 5-megapixels front facing camera (with f/2.4 aperture). The new Huawei GR5 Mini is equipped with Huawei’s Kirin 650 64-bit Octa-core processor paired with a 2GB RAM for fast and easy usability. It has an internal storage capacity of 16GB that can expand up to 128GB via micro-SD card. However, you have to sacrifice a SIM for SD-card. Huawei GR5 Mini Android 6 Marshmallow out of the box that is laced with Huawei’s custom user interface; EMUI 4.1. It supports download speeds of up to 150 Mbps via 4G LTE. GR5 Mini comes with improved battery life since the device screen is not up to the 5.5 inch on the Huawei GR5. Connectivity options include a 4G LTE, Bluetooth 4.1 and Wi-Fi 802.11 b/g/n (2.4GHz) for wireless connectivity. What’s new in Huawei GR5 Mini? 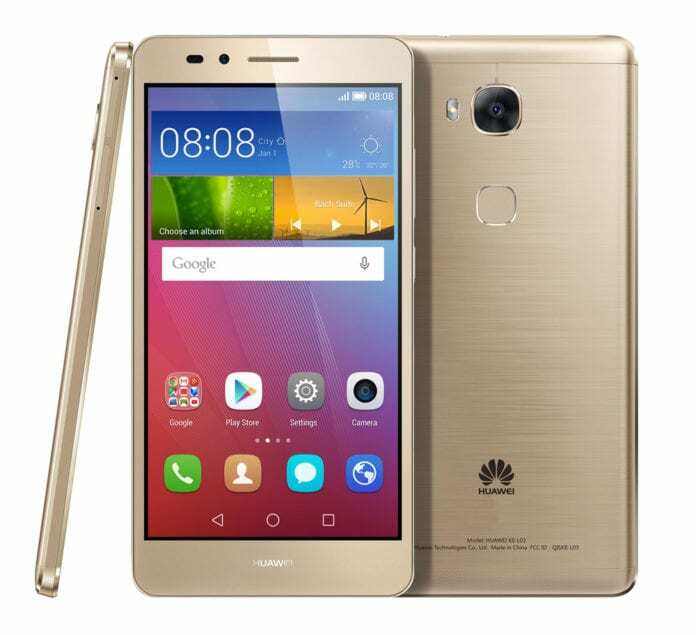 You can click on the links below to view latest Huawei GR5 Mini price & availability.